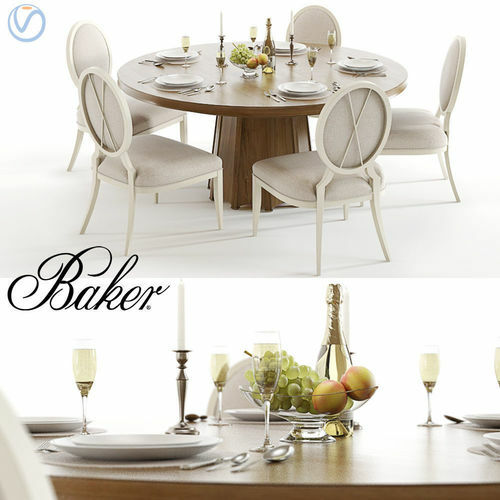 High-detailed 3D set of Baker Encircle dining table, X-Back chair and armchair with tableware. Originals: https://www.bakerfurniture.com/dining/tables-accents/tables/encircle-dining-table-3637 . https://www.bakerfurniture.com/dining/seating/chairs/oval-x-back-dining-arm-chair-3441 . https://www.bakerfurniture.com/dining/seating/chairs/oval-x-back-dining-side-chair-3440 .